Pyronix guarantee a security system that will meet all of your expectations and leave you satisfied that your home is secure. Offering wired, wireless and hybrid options, we are confident that Pyronix have the set up to suit your needs. 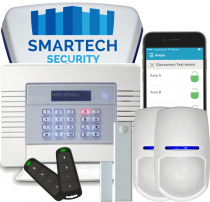 With this wireless alarm system there is no fuss - so no need to take up carpets or floorboards. 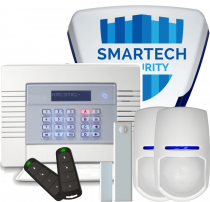 All Pyronix alarms from Smartech security will send you notifications when the alarm goes off. We aim to do all our installations within 5 working days . All our Installations come with one year Guarantee and free first year service. Price includes installation charge.